Availability of quality fodder, particularly during the months of November- May, is a major issue in Ranga Reddy district. During summer period livestock has to rely on crop residues like paddy straw, maize stovers, sorghum straw, cotton stalk, redgram stalk etc. With this, animals get low nutritive value feed, undernourished leading to severe metabolic disorders and reproductive problems. As a result of urbanization, a few dairy farmers in small patches practice fodder cultivation in Ranga Reddy district. 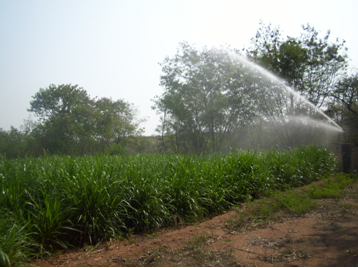 KVK started fodder block development in 0.5 acres at Hayathnagar Research Farm in the year 2010, and now the area is expanded to about 5 acres. One acre was developed as fodder cafeteria, comprising of 13 fodder varieties including cereals, legumes, annual and perennial varieties. Remaining 4 acres area under Hybrid Napier Co-4 catering as fodder slip needs of farmers from Ranga Reddy and adjoining districts. 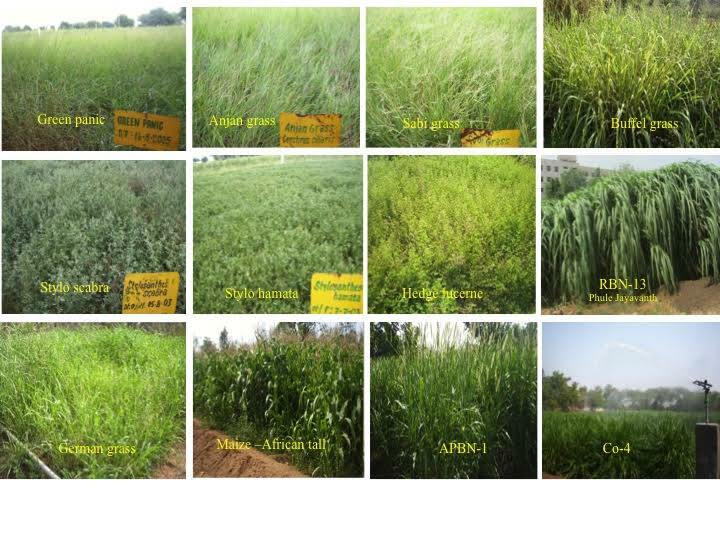 The KVK initiated supply of perennial fodder since September 2012. So far 438 famers from 9 districts with supply of 5.4 lakhs fodder slips generated an income of Rs. 1,54,875. Under state Animal Husbandry Departments�?? 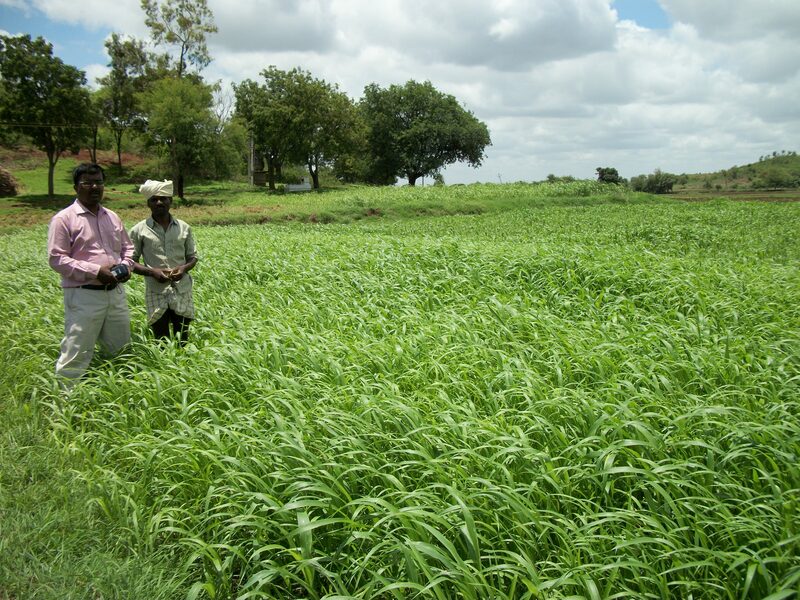 DRDA- IKP programme, KVK benefited nearly 250 farmers with the supply of perennial fodder. Hedge Lucerne (Dasarth), Stylo hamata, Stylo scabra, Stylo (Phule kranthi), Sesbania (Sesbens), fodder groundnut.